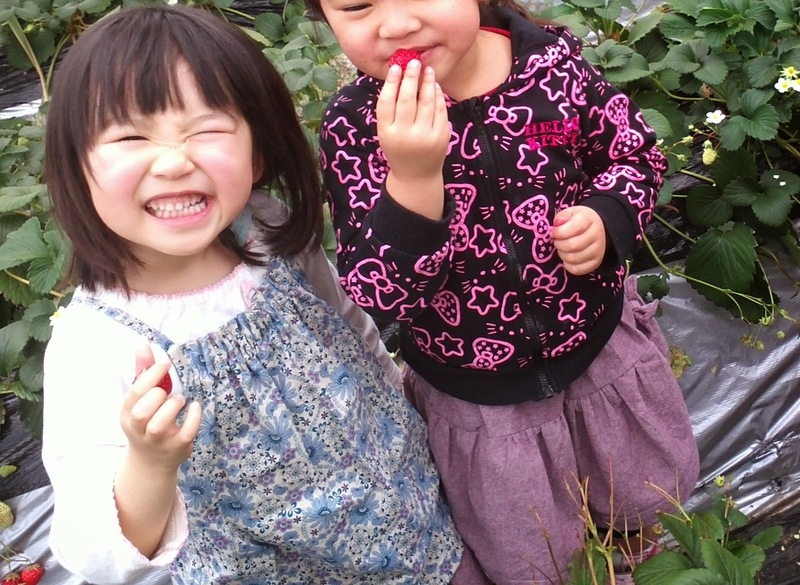 Miyu likes using hands like me and makes something everyday. 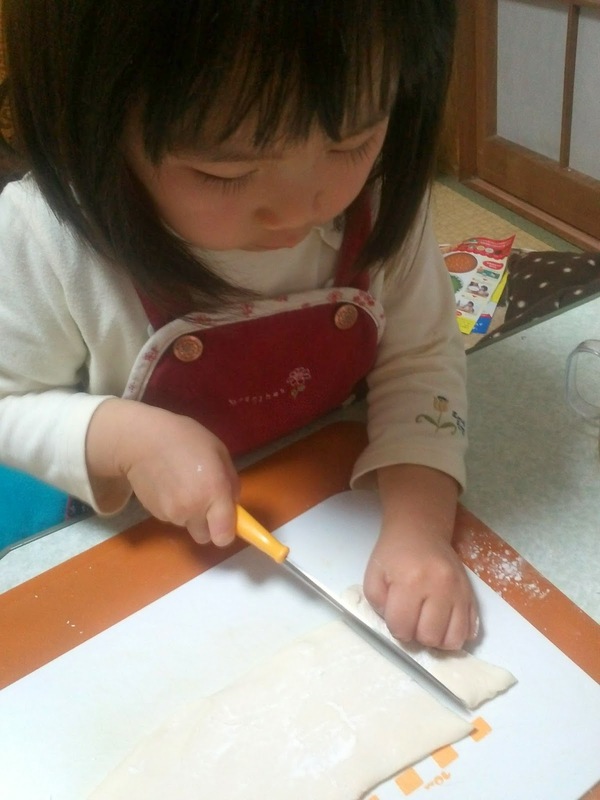 We sometimes cook Udon and she has learned how to cook it already. 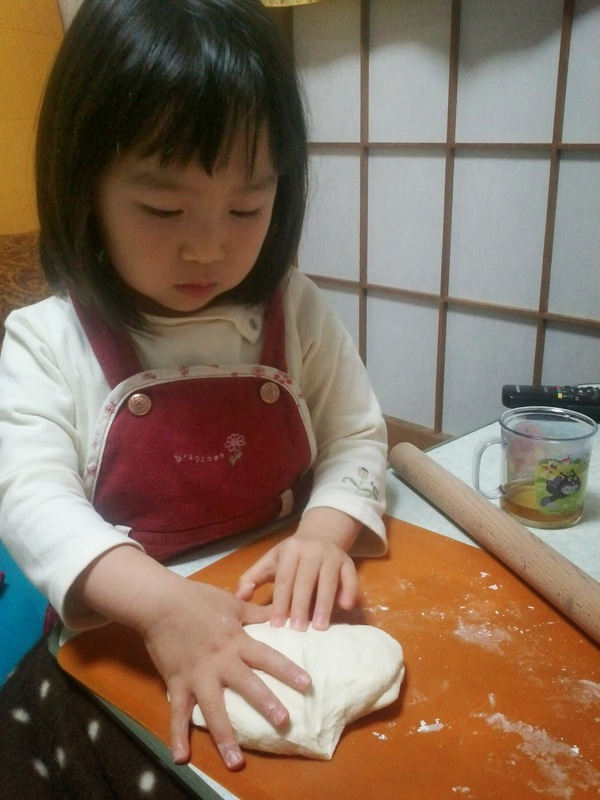 At first she kneaded the flour well by hand. 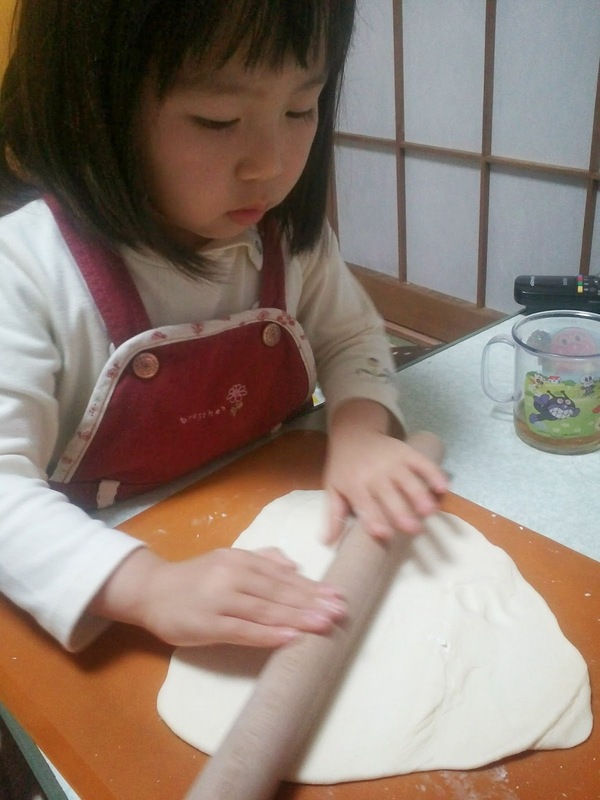 Then she rolled out the dough using a roll pin. She cut it by herself and at last I put them in the soup. This time she cooked the noodle almost all by herself. 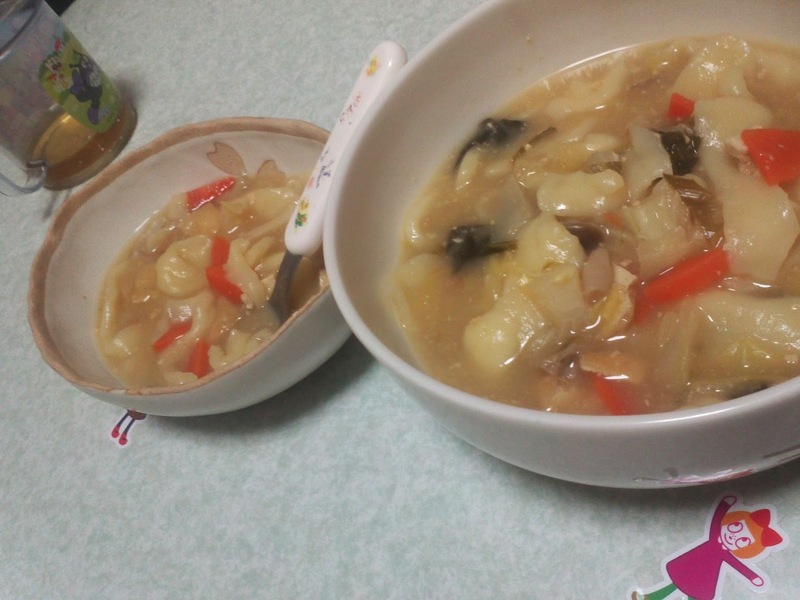 I cooked only the soup. Usually she doesn't eat so much but she asked a refill (* v *)!!!! I'm sewing very much these days because in April she starts kindergarten. I sewed her bags, smocks and clothes. She likes this camisole top and pants. Her friend wore the same ones. 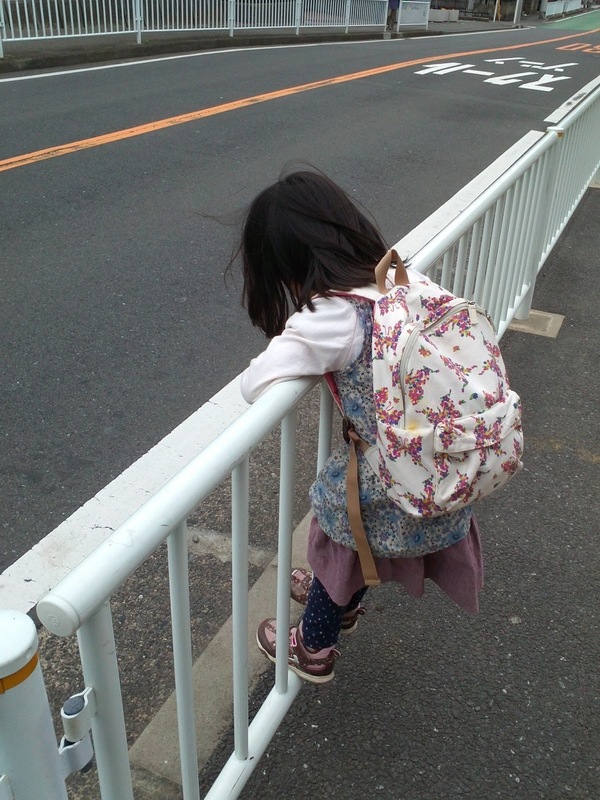 Now she doesn't want to start kindergarten because she is afraid of it and wants to stay home with me more. So I'm making items for her to cheer her up with my hand sewing items.